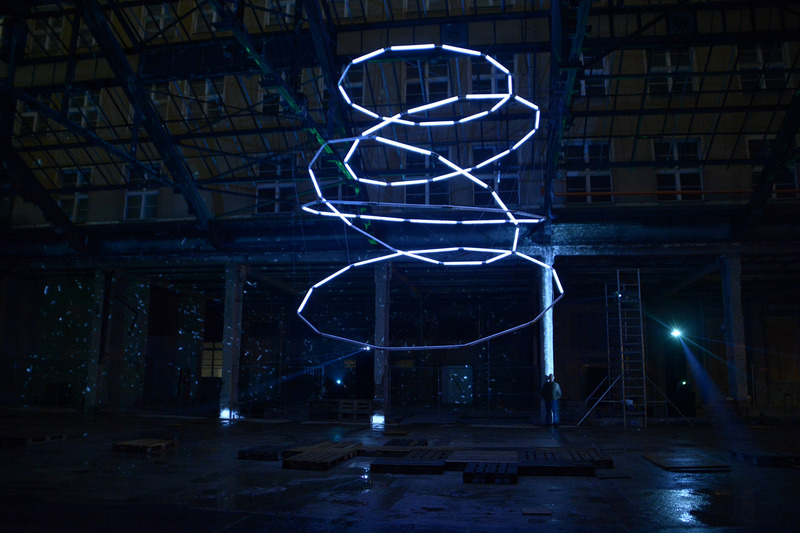 A site-specific light sculpture and projection mapping in a historical Berlin building during Berlin Festival of Lights 2014. 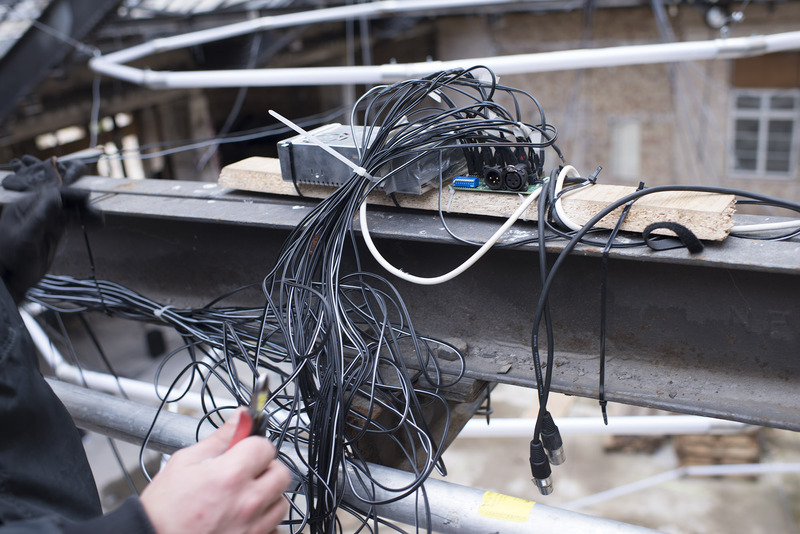 For the site-specific light installation REVIVE, a group of students of BTK's Media Spaces study program and me installed a light sculpture and projection mapping into the main hall of the 'Haus am Köllnischen Park' in Berlin's Mitte area, at that time under renovation. 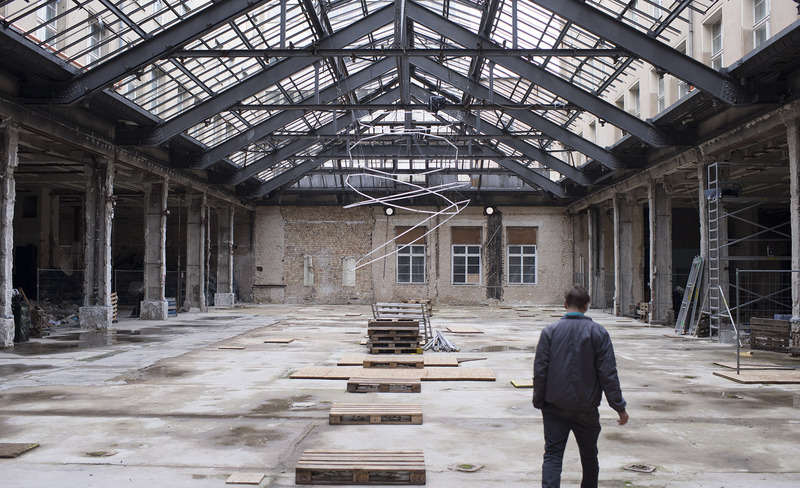 The installation concept picks up exactly this idea of reviving the building. 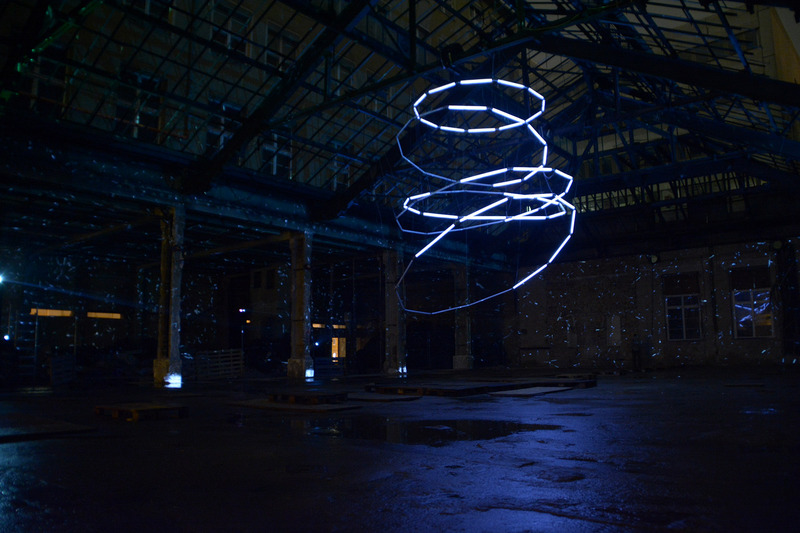 The central light sculpture, consisting of five rings each made of twelve lamps, works like a clockwork counting up the time passed since the building has been out of use. Each visitor entering the main hall to see the installation, triggers distance sensors and activates the installation a bit more. The clockwork sculpture transforms into a heart that slowly starts to beat, pulsating in brightness. The more visitors arrive, the more ‘energy particles' rise from the main pillars towards the clockwork / heart sculpture, making it beat faster and faster. 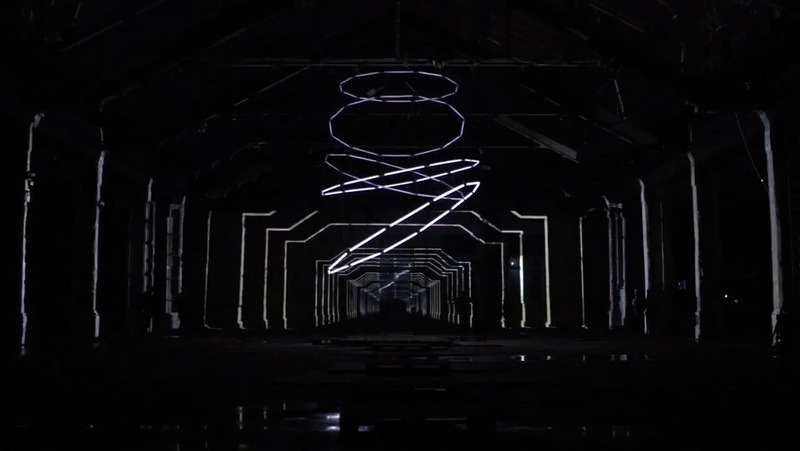 When the heartbeat reaches its climax, the building is revived, and the projection mapping illustrates the whole architecture with animations. 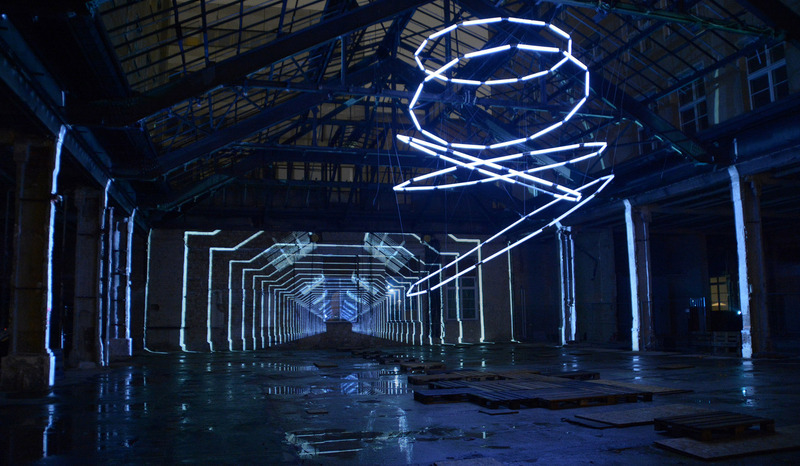 The installation consisted of nine projectors for the projection mapping, seven computers, eight sensors for sensing the amount of visitors, and the specifically designed sculpture of five rings of neon-tube-like lamps, each ring with a diameter of five meters. Participating Students: Ned Amornpiyalerk, Daniela Stanich Angel, Janne Simon König, Alessandro Rossetti, Shivan Saeed, Davinder Sharda, Yazan Tabaza, Riccardo Torresi. Location and funding provided by Ziegert Real Estate.